LAKE GROVE, N.Y. - A man was arrested on Long Island Monday after police say he went around naked in the parking lot of a Costco, threatening people with a machete, reports CBS New York. 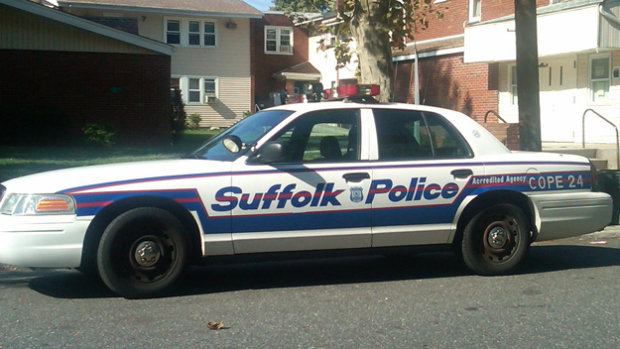 When Suffolk County police responded to several eyewitness reports around 1 o'clock in the afternoon in Lake Grove, the man allegedly barricaded himself in the cab of a semi-trailer truck he'd been driving for NYC Transport of East Orange, New Jersey, the station reported. Six police officers rushed to the scene, but the man initially refused to get out of the truck, police said. When he ultimately tried to exit the truck, machete in hand, officers held the doors shut to contain him, police said. The man then opened a small window and tried to climb through it, police said. Authorities subdued the man with a Taser and arrested him, CBS new York reported. The suspect -- identified as 37-year-old Jose Amaya -- was charged with menacing a police officer, criminal possession of a controlled substance, and criminal possession of a weapon, police said. Police said Amaya was living in the truck cab. He was taken to a hospital for evaluation, police said.